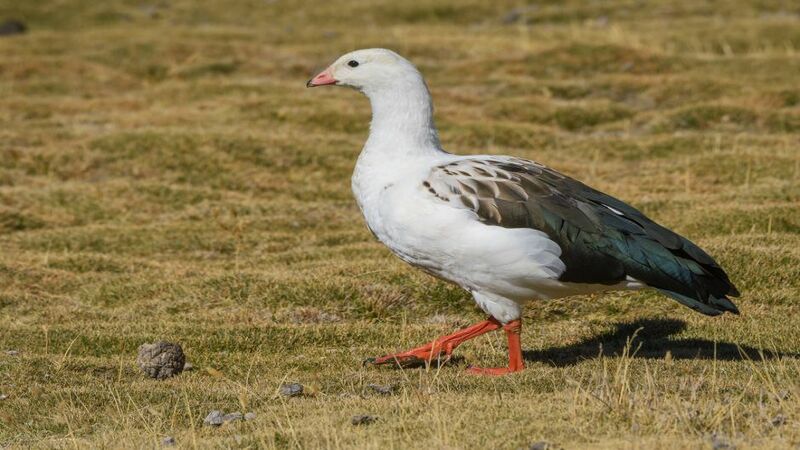 The cauquén, is a species of anseriforme bird of the natural family Anatidae of the mountains of the Andes, in South America. We can find it from the center of Peru to the center of Chile, and from Argentina, occupying the Andean zone from Jujuy to the north of Mendoza. 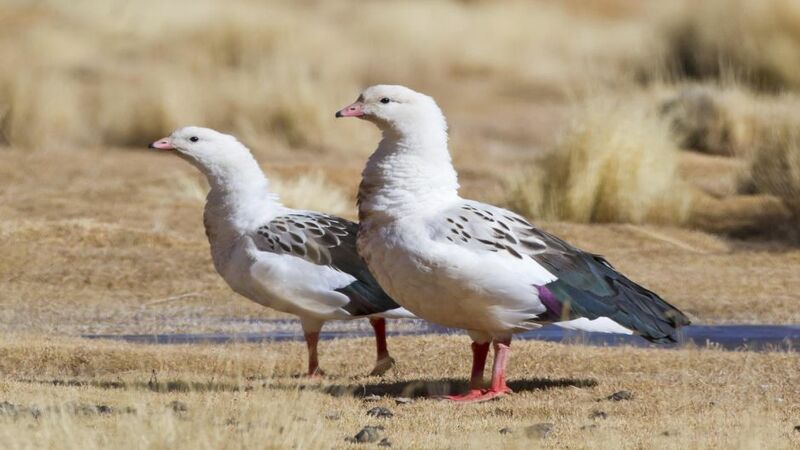 It lives in high Andean lagoons of valleys located between the 3,000 msnm, arriving until the 4,700 msnm. In winter it occupies lower areas. 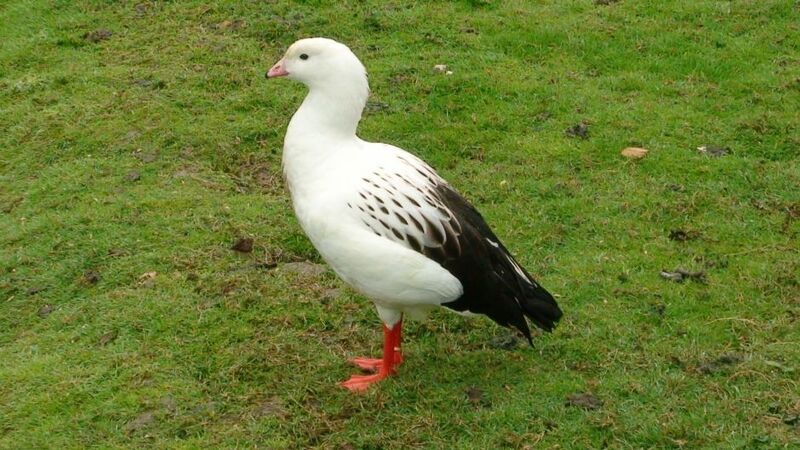 It has a thick neck, it is white with a purple wing. 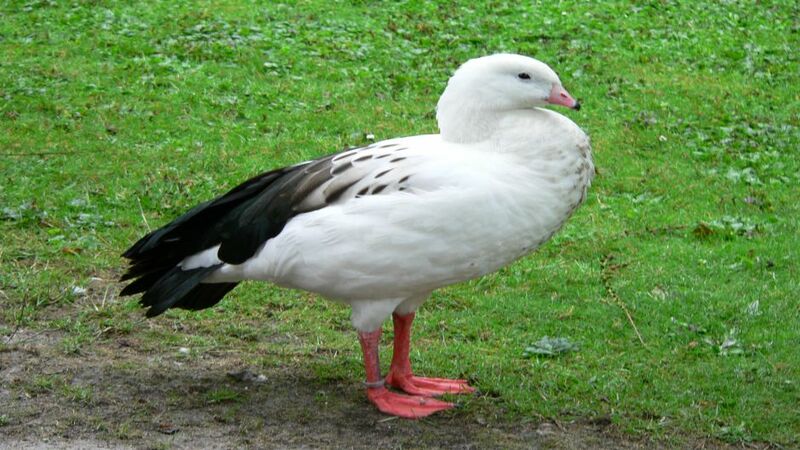 The beak, the legs are reddish. The total length is 75 to 80 cm. 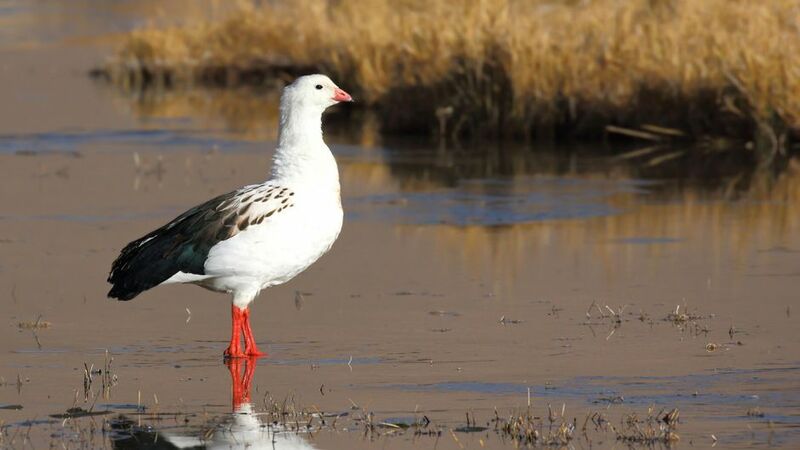 There is no sexual dimorphism in the plumage of males and females. The males weigh between 2.7 to 3.6 kg, the females are smaller. There are no known subspecies.